I was quite late to the game when it came to baby wearing. This was partially due to a rough start for both Autumn and I. I wanted to baby wear, but simply didn’t feel up to it. When I finally did, I had a cheap stretchy wrap that I just couldn’t get the hang of. 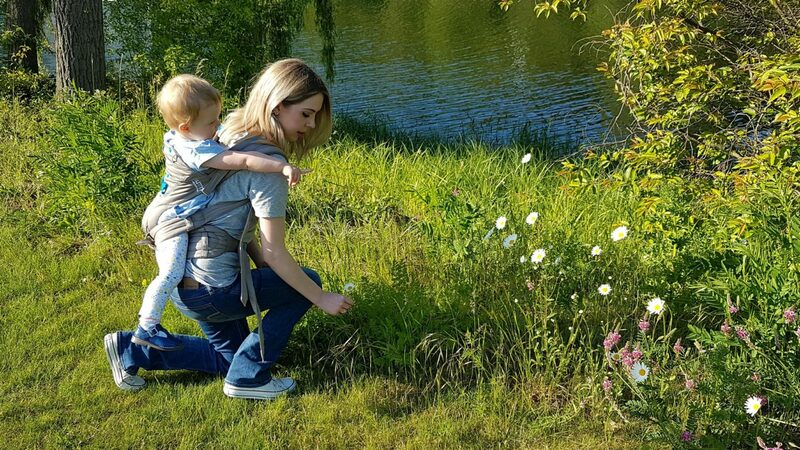 So, it was only when Autumn was about 10 months old that I went to a sling library and tried out a couple of slings. A structured style, similar to the Pao Papoose, really worked well for me. 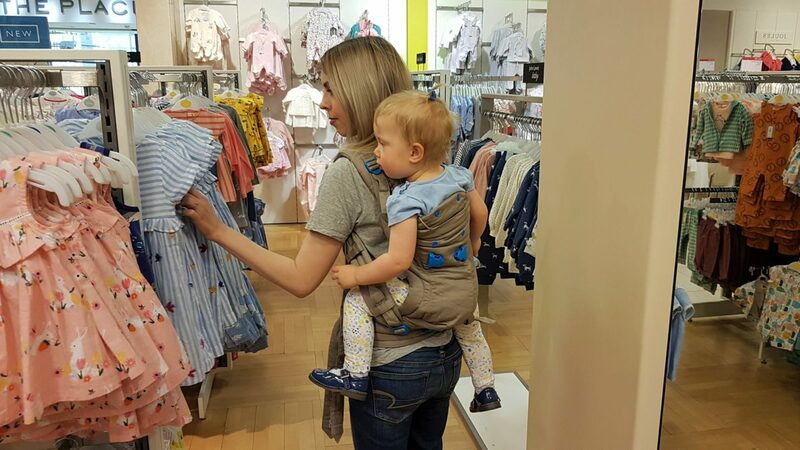 I also found that baby wearing is so practical too. The box that the Pao Papoose arrives in is lovely and makes you feel excited before you even get into the product. It is a precursor of the quality you can expect. 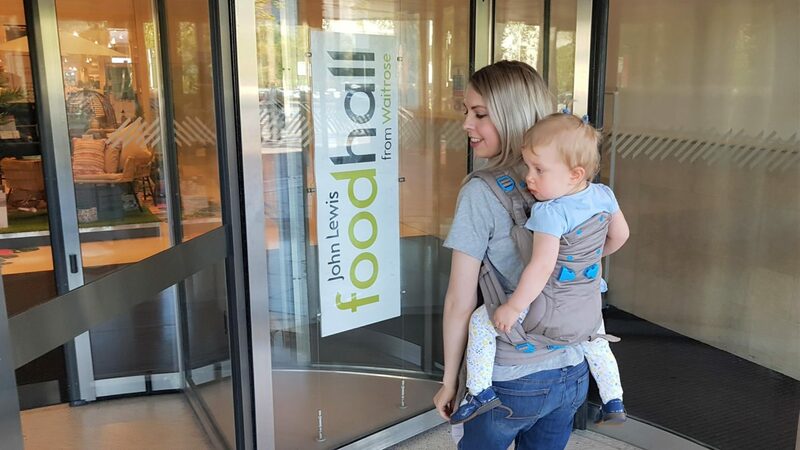 The baby carrier itself comes in a handy bag that you can use when out and about. The instruction booklet that comes with it contains diagrams featuring whimsical animals. These relate to the name of the carrying positions you can choose. What position you go for depends on the age of your child (overall, the carrier is suitable from 4-36 months) and your comfort. For my 20 month old, I went for “Raccoon Ride” which is the back-carrying position. I found the booklet a little confusing for this position, but there are videos on YouTube which really helped. I followed it step by step initially, pausing and hitting play as I went. 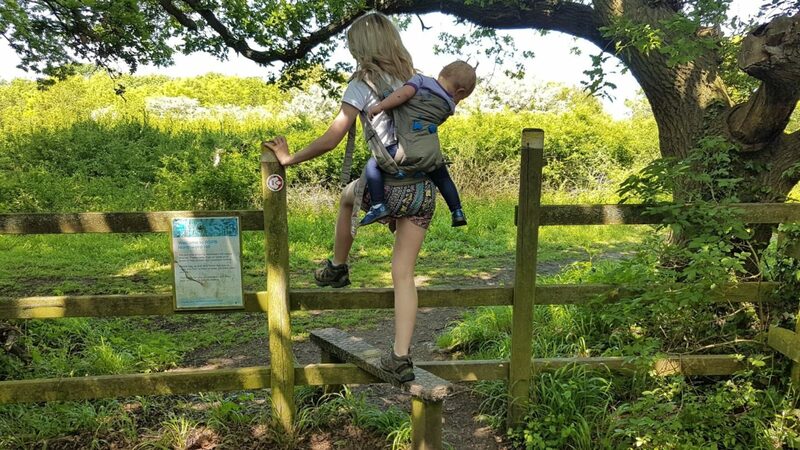 Sometimes it just isn’t practical to push your child along in a pram or pushchair. For instance, when we go for walks in the countryside or along cliff paths on holiday, the paths simply aren’t suitable. Oh, and no need to worry about lifting pushchairs over turnstiles! Not only this, but it’s easier if I go shopping on my own as it allows me to push a trolley without trying to push a buggy too or worrying that Autumn will climb out of a trolley. With a pushchair, narrow shops are an absolute nightmare and revolving doors can be tricky too. 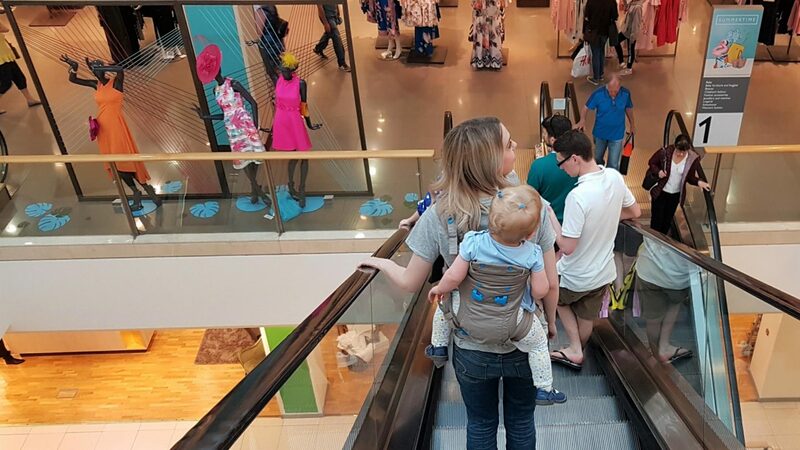 Meanwhile, if a shopping centre is busy it’s much easier to weave in and out of people using a baby carrier. The other amazing thing is that you don’t have to worry about looking for lifts. You can use an escalator again! The biggest problem I’ve had is that with Autumn being at the same level as me, she sometimes takes more interest in clothing on hangers or objects on shelves. I just have to be careful that she doesn’t grab things without me noticing! 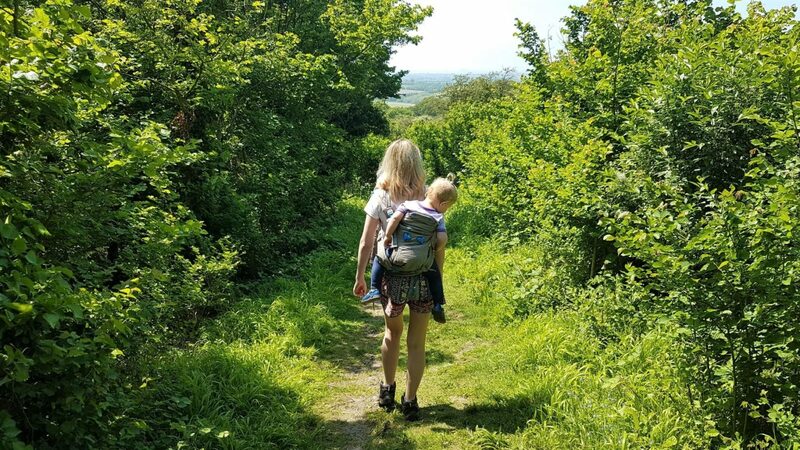 It has been taking some time for us to get used to the Pao Papoose and it’s quite difficult to do the back carrying position by yourself. However, we are getting there and are getting quicker each time. I’m sure the front facing positions are probably much easier, but Autumn is pretty heavy and there’s no way my petite frame could handle it. It had been a few months since I’d carried Autumn and I found it a bit difficult then as she was quite heavy. Needless to say, she’s grown quite a lot since then. However, haven’t found it at all uncomfortable carrying her around in the Pao Papoose. The padded waist and straps definitely help with this. There is leg padding for Autumn which helps with stability and comfort. She certainly seems to be comfortable and I feel confident that she is stable when I am walking around. I think she really enjoys looking around her surroundings from higher up than she is used to! We are still able to interact and she delights in pointing at things over my shoulder. 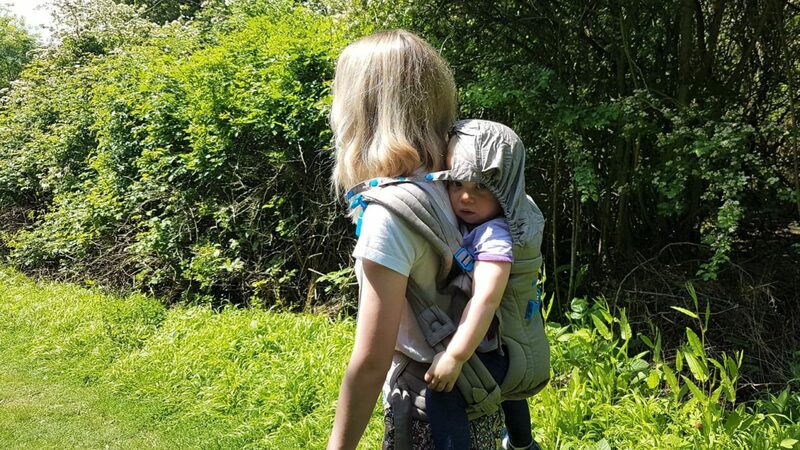 The Pao Papoose also features a removable hood, if your little one fancies a snooze. As you can see from the poppers, this is adjustable. 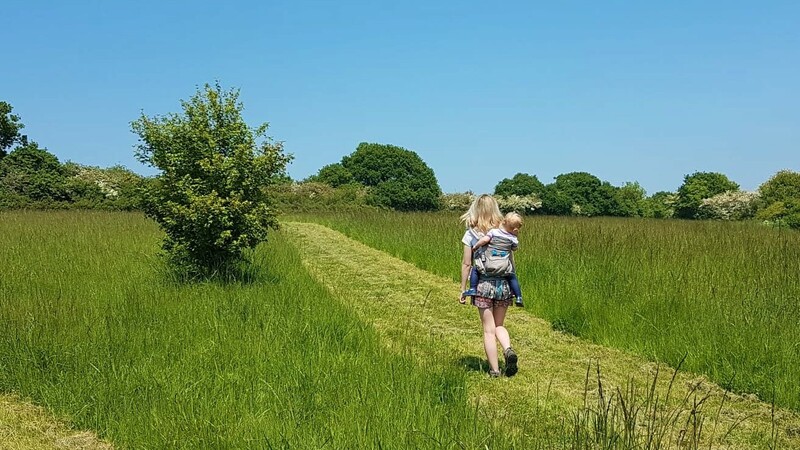 I think this baby carrier is very good quality for the price it retails for, (around £90), which is a great deal less than some other well known carrier brands. I hope that it will allow me to continue toddler wearing for months to come, hopefully until she’s almost 3 if my back can handle it. There will be many more adventures to come and it’s great that we are not limited by wheels! Disclosure: I received a Pao Papoose in exchange for this review. As always, all views and opinions are honest and my own.